Once more I am joining Katie from Sophistikatied Reviews, to feature Fan Art! 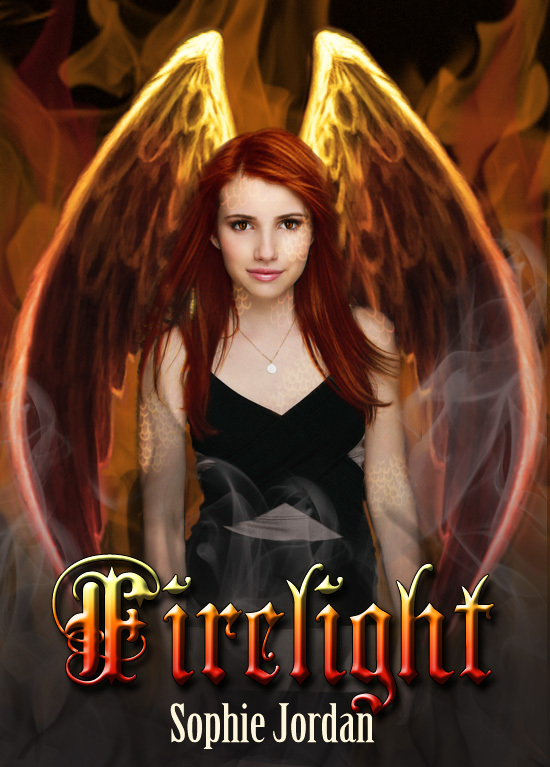 This week I read Firelight and loved it so I decided to create my own cover. Wow, very pretty, Tynga! Is that Emma Roberts? WOW I LOVE LOVE this!!! Beautiful! wow... if you don't mind me asking, what photoshop software to you use? Cool fanart for a sizzling book!